BULGARIA / SOFIA / LAGERA DIST. 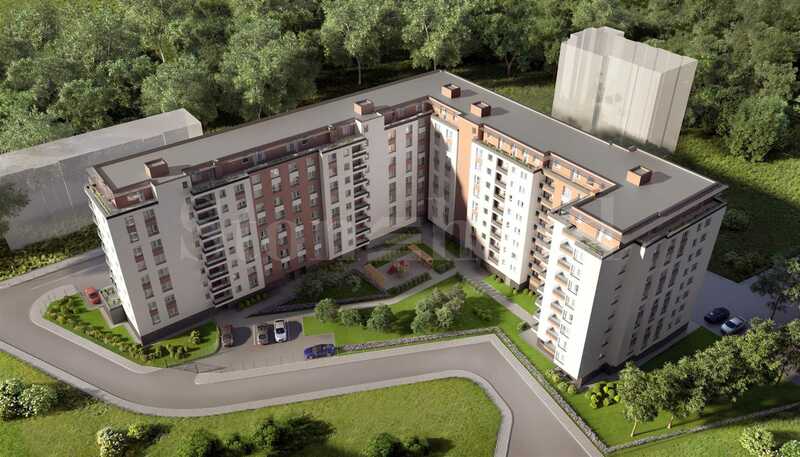 Brand new and very modern gated complex comprising of several buildings in Lagera District, in Sofia. The residential complex is situated within walking distance to Krasno Selo metro station, a kindergarten and a nice park. The complex is situated on a total area of 7 721 sq.m. amidst greenery. It is L-shaped and consists of 5 buildings with a favorable geographic location to the southeast and southwest. 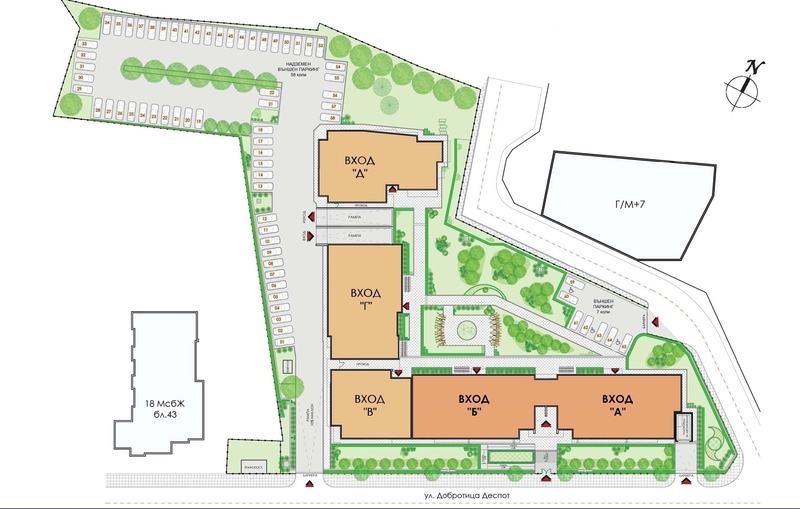 The first stage of construction includes building A (entrance A and B), starting in February 2019, the completion is scheduled for December 2020. • 65 outdoor parking lots. Each entrance will offer one-bedroom, two-bedroom and three-bedroom apartments, all being spacious, offering large living rooms, dining areas and nice kitchens, comfortable bedrooms, closets and modern bathrooms. The apartments will be completed according to the Bulgarian building standards. The complex also features one-bedroom apartments, especially built for disadvantaged people, located on the first floor. Each building consists of 10 floors above ground and 1 underground. The complex features an underground parking area located in the space between, under and around the tall buildings. In the northwestern part of the complex is available an outdoor parking lot. Parking for people with disabilities is available on the entry level of the building. Bicycle parking spaces are also provided. The buildings are serviced by elevators for 12 persons in each entrance, suitable for disadvantaged people. There is an internal courtyard with landscaping, a seating area with benches and pergolas, a children's playground, nice garden, etc. The construction of the buildings is monolithic and beamless with reinforced concrete, allowing changes in the distribution. Top quality materials are used such as: Austrian high-class "Wienerberger Porotherm" bricks, 5-chamber UPVC window joinery "REHAU" with low-emission glass, heat and waterproofing. For the comfort and tranquility of the residents is provided sound insulation on the floors and walls to all neighboring apartments and the lift. The construction of the complex is implemented by a Bulgarian company specializing in the construction of residential buildings, complexes and logistic centers. The company has constructed residential and office buildings with a total built-up area of over 148,060 sq.m, located in one of the most prestigious districts of Sofia. The company provides high-tech solutions on time. It works with experts and engineers with extensive experience and has a large amount of resources for the overall construction and investment process. The company works with the latest technology on the market, and continually invests in new and high-quality mechanization. Last but not least, it provides a safe and healthy environment throughout the construction process. • Internal courtyard with landscaping, resting area with benches and pergolas, children's playground, decorative plates, gardens, etc. • The property will be surrounded with a decorative fence, and will have access control for pedestrians and automatic barriers for car entrances. • Each entrance, as well as the underground parking area will have room for parking of bicycles. • Hydraulic car platform from the ground floor to the underground garage. • Aluminum radiators type Helyos in the apartments. • Ventilation in bathrooms, kitchens - satellite type. 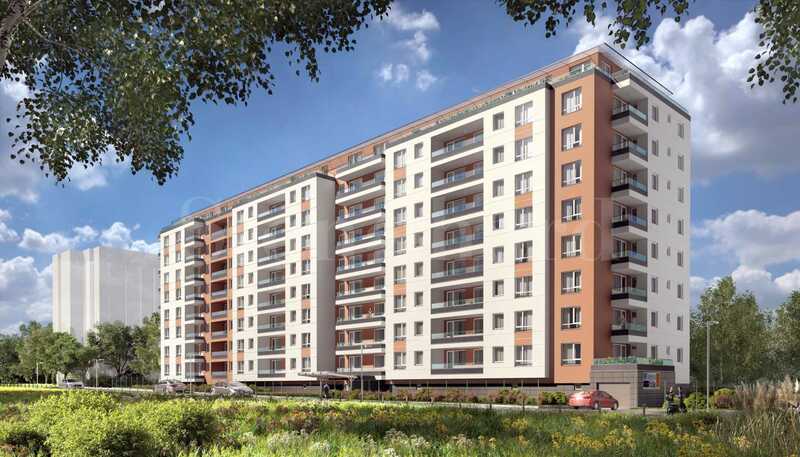 The new residential complex is located in Lagera district, which is part of Krasno Selo region. The neighborhood has many facilities such as hypermarkets, medical centers, schools and kindergartens. The transport is done through "Tsar Boris III" Blvd. and the new crossroad on "Yosif Tsankov" Str. A big advantage in terms of access to the complex is the construction of the third metro line and the new metro station on "Jitnitsa" Str. and "Tsar Boris III" Blvd. The neighborhood is characterized by low-rise construction from the 1960s. In southeastern direction is Hippodrome District and to the southwest is Slavia District, while to the northwest is Krasna Polyana District. 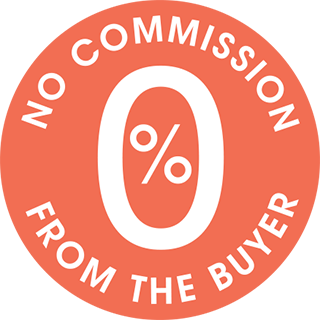 • 90% upon permission for usage.